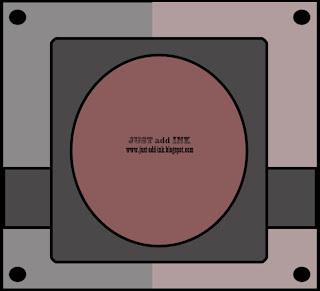 I've got a super quick post today using the sketch at Just Add Ink. I really loved the sketch this week and found it really easy to pull this card together and of course with all the pink I've used on this card it was fun for me to make! The cute image I've used is a digi image from Lori Designs and she's called Party Time Gabbi. This is the very first digi image I've coloured in!!!! I'm not sure if I like the digi images as much as stamped images because I found when I used my 'eraser' pen it also smudged the printed lines, perhaps I'm using the wrong printer ink? Anyway it was fun trying something new! Here is the sketch for this week and I do hope that I'll see your entry on the JAI site! A gorgeous card Trish, love the glitter paper too. I love all the pink and that glitter paper really adds some sparkle :) Your colouring is beautiful! I've found that when you print out digi's it's best to let them sit awhile before colouring them in or you could also try carefully heat setting them with a heat tool as well. So much cuteness on one card - it's delightful! 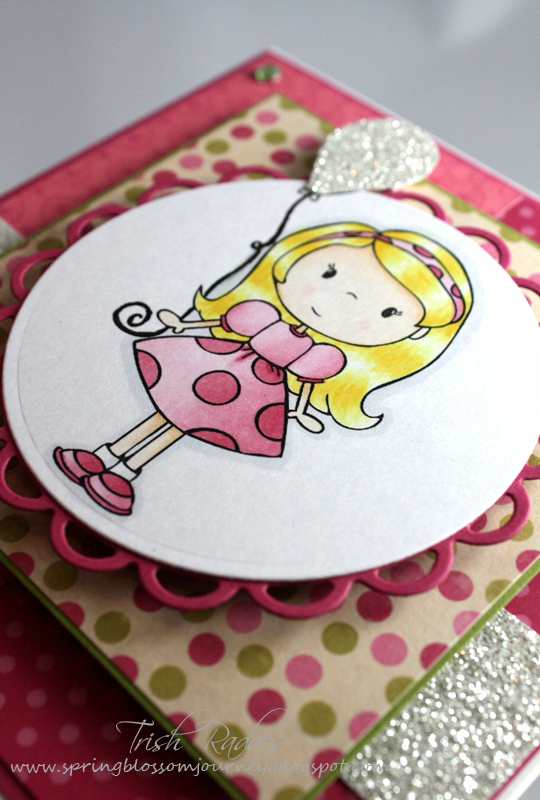 I love the bright, girly, colours, and the added sparkle from the Glimmer Paper - a perfect complement to the pinks. Your card is so sweet Trish. Love all that pink and glitter! Cute card! 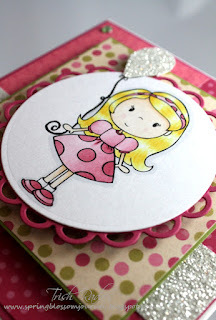 Love love love that spotty paper - our colours, and the glimmer paper looks fab on your card. Cutie, patootie! I'm in awe of your colouring in. Thumbs up for the choice of patterned paper and extra glitter. Love it. What a sweetie she is Trish, a beautiful combination of sparkles and colour...gorgeous! Very, very cute - love the addition of the glitter paper. I love this card!! LOVE!! the colours are the best and that little girl is awesome and the glitter and the scallop cirle egde... mate it's going on in all the right ways!!! !